Boudica is a wild woman! Full of vim and vigor, she approaches life at full speed in everything she does. Her tail swirls with joy. She seems to have a smile on her face. Stairs should never be mounted slowly, but at a full run.Boudica is a problem solver. When she was just eight weeks old, she played with a rope toy that was too long to carry without tripping. She identified the issue and then folded it carefully into thirds so she could zoom around with it. A quizzical look will appear on her face when faced with challenges and she quickly develops a work around to allow her to proceed with whatever she wants to do! We have a good swimmer with Boudica. At the North Carolina Outer Banks, she plunges into the water and paddles around for hours. She prefers to be in water too deep to touch bottom. 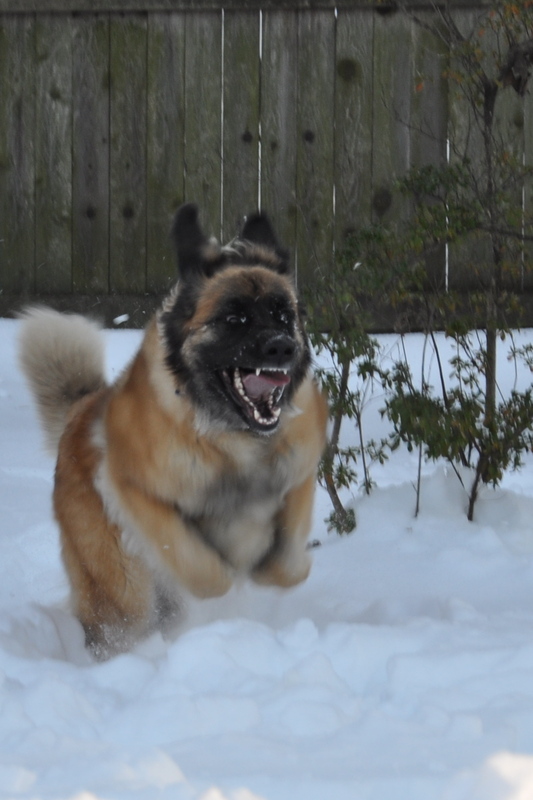 Snow brings out the maniacal Boudica where she runs and leaps and gets a crazed look in her eyes and face…all from joy! Boudica will savage any stuffed animal toy in her house, but has no interest in real animals. The rabbits in her yard likely could hop across her paws! Boudica also is attentive to all around her. She rarely misses much and loves to monitor who walks in front of our house. 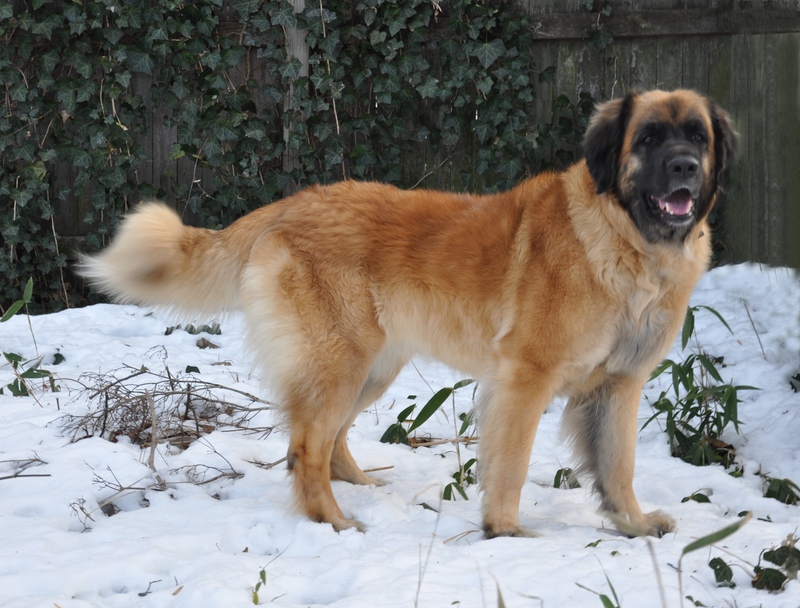 Boudica has beautiful conformation, a lush and thick coat and a fantastic head. 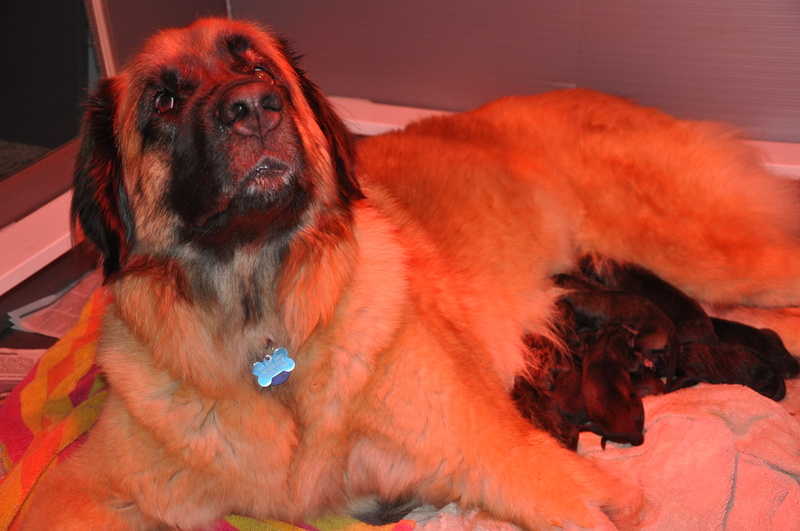 She is a large girl; hopefully her size will contribute to the Leonberger gene pool with giant size progeny. 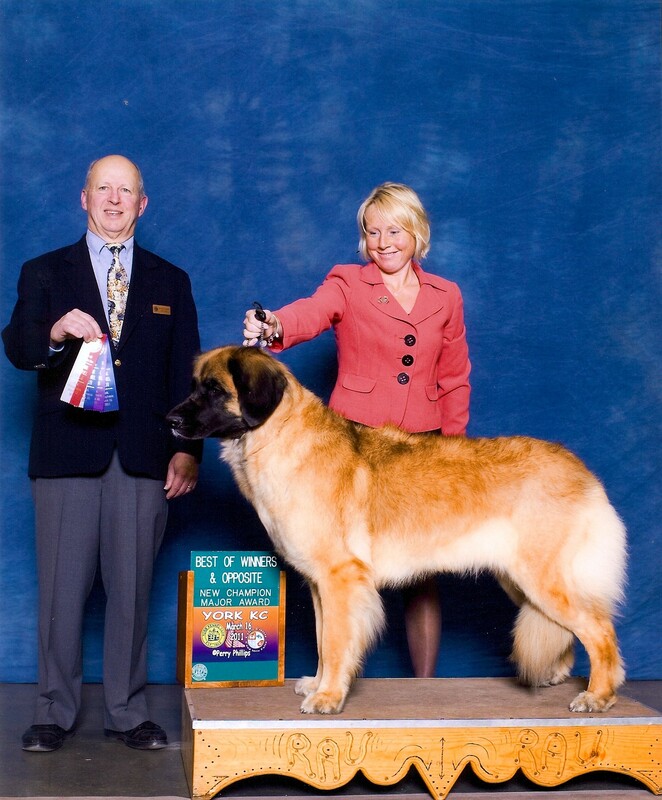 Boudica finished as a Champion with three five point majors in three shows. She is also a Grand Champion! She is a great show dog, but an even better family dog! Boudica is closely bonded to Jennifer and is never more than a few feet away from her. To see Boudica’s pedigree, click here. To see Boudica’s medical clearances, click here. 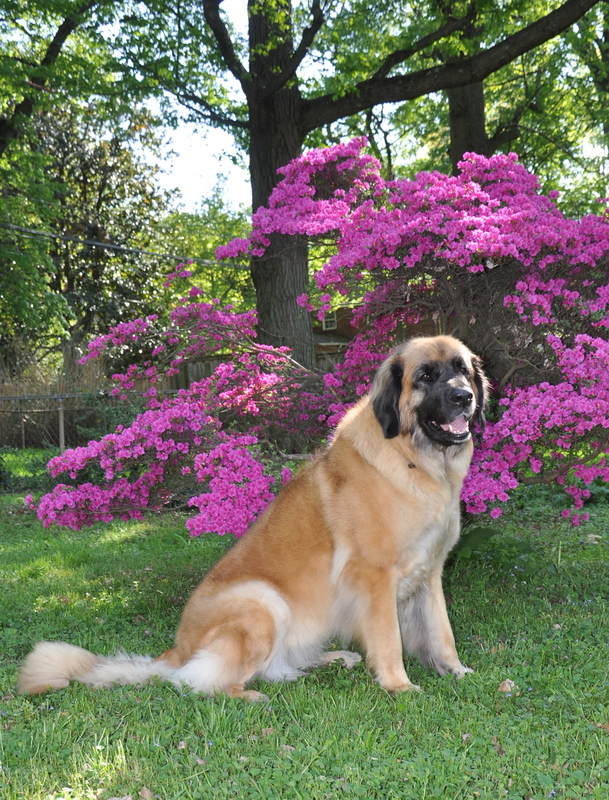 To learn about Boudica’s breeder, click here.